Featuring works by Keliy Anderson-Staley, Matt Black, John Chervinsky, Scott Connaroe, Kelli Connell, Peter Finnemore, Lucas Foglia, Tony Gleaton, Elijah Gowin, Priya Kambli, Mark Klett, Shane Lavalette, Arno Rafael Minkkinen, Pipo Nguyen-Duy, Angelika Rinnhofer, Irina Rozovsky, Krista Steinke, Mark Steinmetz, Garie Waltzer, William Wegman, James Welling, and Susan Worsham. Light Work was founded as an artist-run, non-profit organization in 1973. Its mission is to provide direct support to emerging and under-represented artists through residencies, publications, exhibitions, and a community-access digital lab facility. In 1991, Light Work began to offer limited edition prints and signed books through our Subscription Program for the first time. This program was and is a unique way for artists we’ve supported to give back to the next generation of artists coming through our programs. Because the prints are donated by these generous artists we are able to offer them at affordable prices to our supporters. 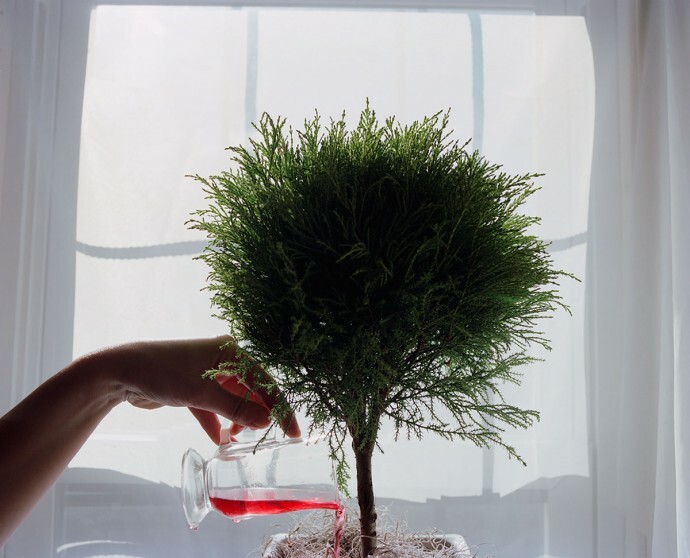 Over the past twenty-three years Light Work’s Fine Print Program has included works by many important contemporary artists, including Carrie Mae Weems, William Wegman, James Welling, Hank Willis-Thomas, Dawoud Bey, Deborah Willis, Mark Steinmetz, and Alessandra Sanguinetti, to name just a few. The Fine Print Program makes collecting art and photography a very real possibility for anyone. And when purchasing a print our subscribers are participating in our mission of providing artists with the time and space needed to create new work. Light Work and Community Darkrooms are pleased to present Dan Wetmore’s exhibition Golden Dawn, a series of pictures made from 2009-2012, in and between Flint, MI, Binghamton, NY, Cleveland, OH, Wheeling, WV, and Pittsburgh, PA. I grew up in Pittsburgh. My parents enjoyed driving around and hunting for furniture on the weekends and I got to see much of the city this way. I was taken by the furnaces and mills that lined the rivers—these giant, dark carcasses. At home, the only photo book my parents had was a paperback of Becher typologies and I looked at the blast furnaces and mineheads for hours. Once mobile at sixteen, I explored these places intimately. With a developing fondness and understanding, I began to photograph in the surrounding neighborhoods. Light Work is pleased to announce the 2014 Transmedia Photography Annual exhibition, featuring photographs by seniors from the Art Photography Program in the Department of Transmedia, part of the College of Visual and Performing Arts. The bachelor of fine arts degree program in art photography is designed for students who plan to use photography as their primary creative medium. Many of these students will go on to exhibit their photographs nationally and work for magazines, advertising agencies, museums, galleries, corporations, educational institutions, and the fashion industry. Exhibiting students include Marcy Ayres, Erica Bernstein, Paige Blinn, Cami Brown, Emily Edwards, Ashli Fiorini, Meagan Gregg, Krystle Gunter, Emily Hawing, Mark Hoelscher, Shelby Jacobs, Kelly Kazmierczak, Nicole Letson, Colin Liang, Victoria Nadler, Mary O’Brien, Allison Paap, Gabriela Perez, Sahra Roberts, Samantha Short, Amrita Stuetzle, Lilith Tagariello, Rachel Thalia, Ana Thor, Chris Trigaux, Katie Walsh, and Nils Wiklund. Aspen Mays approaches her art-making practice with some of the same methods she learned acquiring a degree in anthropology. 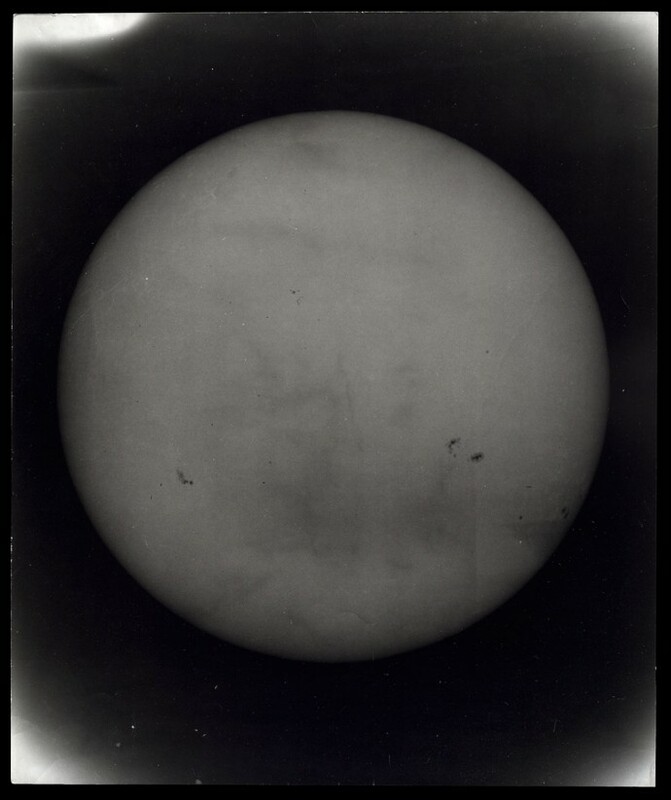 By embracing the art and science of photography her projects often begin by tracking down information, ideas, and experts in a variety of fields, including astronomy. She collects, unearths, and creates images and objects that celebrate the complex and sublime beauty of the physical universe. Her images question our capacity to comprehend, while expressing our deep desire to find meaning in the unknown. Mays’s search for sublime ambiguity took her on a recent cross-country trip through the Petrified Forest in Arizona to view Newspaper Rock, a giant prehistoric petroglyph covered with hundreds of messages, symbols, or stories. Confounded by the meaning of these drawings incised in rock and occurring all over the world with amazing similarity, scientists argue they could be of religious significance or perhaps astronomical guides. Mays was drawn to the mystery and presence of a hand-drawn message from prehistory and began to think about them in relation to her collection of darkroom tools. Cobbled together with tape and cardboard, her collection of hand-made dodging, burning, and masking tools had its origins in the Cerro Calán darkroom. Placing them on photographic paper and working directly with light itself, Mays creates her own abstract patterns, forms and pictograms, enigmatic taxonomies of a disappearing photographic process. In a conversation about this exhibition Mays asked, “Which is more profound, using cameras to image the cosmos or the anonymous woman in a hydrangea garden?” Throughout this exhibition Mays explores this dilemma with great curiosity and delight as she invites us to consider small and big questions we can only dimly comprehend. Aspen Mays grew up in Charleston, SC. She received her MFA from the School of the Art Institute of Chicago in 2009 and a BA in Anthropology and Spanish from University of North Carolina-Chapel Hill in 2004. Her solo exhibitions include Every leaf on a tree at the Museum of Contemporary Art, Chicago, IL; From the Offices of Scientists at the Hyde Park Art Center, Chicago, IL; Sun Ruins at Golden Gallery, New York; and Ships that Pass in the Night at the Center for Ongoing Projects and Research (COR&P) in Columbus, OH. Mays was a 2009-2010 Fulbright Fellow in Santiago, Chile, where she spent time with astrophysicists using the world’s most advanced telescopes to look at the sky. Mays lives and works in Los Angeles, CA and Columbus, OH where she is an Assistant Professor of Art at Ohio State University. Light Work is pleased to present Gerard H. Gaskin: Legendary: Inside the House Ballroom Scene in the Robert B. Menschel Photography Gallery in the Shine Student Center at Syracuse University. A lecture sponsored by Syracuse University’s Pride Union will be held on Wednesday, February 12 from 7-10pm in Schine ABC. The talk is free and open to students and community members. The exhibition is open daily from 10am–10pm. Gerard H. Gaskin’s radiant color and black-and-white photographs take us inside the culture of house balls, underground events where gay and transgender men and women, mostly African American and Latino, come together to see and be seen. At balls, high-spirited late-night pageants, members of particular “houses”—the House of Blahnik, the House of Xtravaganza—”walk,” competing for trophies in categories based on costume, attitude, dance moves, and “realness.” In this exuberant world of artistry and self-fashioning, people often marginalized for being who they are can flaunt and celebrate their most vibrant, spectacular selves. Legendary, comprised of photos taken at events in the New York city area, Philadelphia, Richmond, and Washington, D.C., is a collaboration between Gaskin, a camera-laden outsider who has been attending balls for twenty years, and the house members who let him enter the intimate world of ball culture. Gerard H. Gaskin, a native of Trinidad and Tobago, now based in Syracuse, NY, earned a B.A. from Hunter College in 1994 and is now a freelance photographer based in the greater New York City area. His photos have appeared in the New York Times, Newsday, Black Enterprise, OneWorld, Teen People, Caribbean Beat, and DownBeat. Among his other clients are the record companies Island, Sony, Def Jam, and Mercury. Gaskin’s photographs have been featured in solo and group exhibitions across the United States and abroad, and his work is held in the collections of such institutions as the Museum of the City of New York and the Schomburg Center for Research in Black Culture. Gaskin has been awarded The New York Foundation for the Arts Artist Fellowship for Photography and was part of the Gordon Parks’ 90, the bringing together of 90 black photographers from all over the United States to celebrate his 90th birthday. His work is also featured in the books Inside the L.A. Riots (1992), New York: A State of Mind (2000), and Committed To The Image: Contemporary Black Photographers (2001). 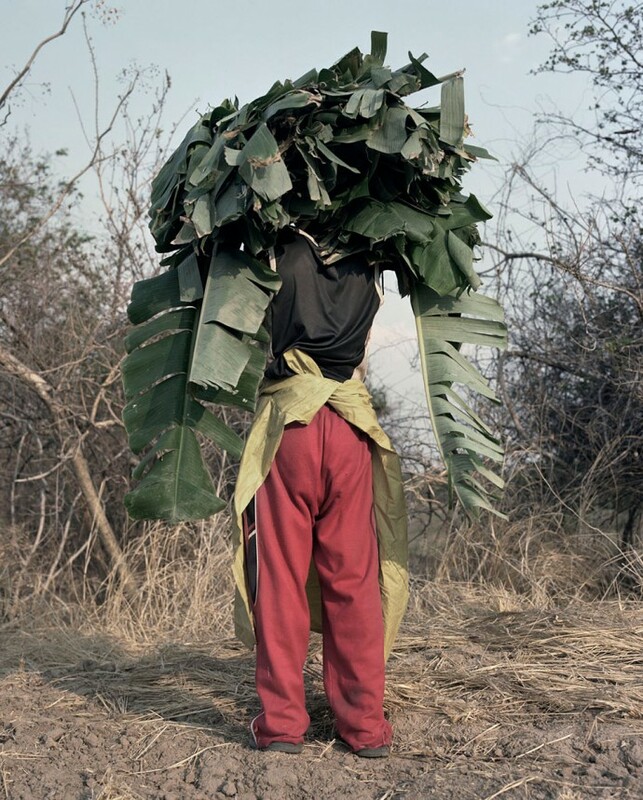 Jackie Nickerson makes photographs that examine people and their relationship to the earth, through the physical and psychological conditions of living and working on the land. With her exhibition Terrain, Nickerson revisits eastern and southern Africa, focusing on how the exertions of labor leave traces on people and the environment. After fifteen years working in the fashion industry for clients like Interview and Vogue, Nickerson felt unfulfilled and sought something more. In the late ‘90s she took a trip to Zimbabwe with a friend, expecting to be there for just a few weeks. She ended up staying for four years, traveling through other countries of Sub-Saharan Africa in a small flatbed truck. She has since returned many times to continue photographing farm life through her unique lens. Hands and plants, limbs and fabric, bodies and soil, the subjects of Nickerson’s portraits are, in the fullest sense, terrene—of the earth. The workers are obscured by the sheer size and weight of their harvest, emphasized by the large scale of the photographs themselves. Many of her landscapes are photographed through a thin veil of plastic farming material, easily read as a metaphor for our modern separation from the natural world. “I believe that we have an indelible link to the earth but we’ve begun to undervalue it—even forget about it,” says Nickerson. Her contemplative pictures ask us to consider our own relationship to the land, and to the food we consume in our daily lives. Jackie Nickerson was born in Boston, Massachusetts, in 1960. Her work has been exhibited internationally including at the Museum of Modern Art, Salzburg; Palais des Beaux-Arts, Brussels; National Portrait Gallery, London; Irish Museum of Modern Art, Dublin; and the Hereford Museum, Herefordshire, UK. Her work is held in many collections including the Museum of Modern Art, New York; Irish Museum of Modern Art, Dublin; Vatican Museums, Rome; and the National Gallery of Ireland, Dublin. She is the recipient of a Culture Ireland award and three Visual Art Bursaries from the Irish Arts Council. Nickerson is represented by Jack Shainman Gallery in New York. Light Work thanks Culture Ireland for their support in making this exhibition possible. Light Work and Community Darkrooms are pleased to present the work of Willson Cummer. In late July of 2012, a five-month depression unexpectedly lifted. For the first time in a long while, I was able to wake up in the morning with energy, eager to explore the day. With my camera I quickly began shooting the early morning light as it fell upon Fayetteville, NY, my hometown. I walked from my front door most times, and occasionally drove a bit further into the village. I wanted to explore the territory closest at hand. Light is a fundamental ingredient for photography. It has also, for centuries, been used as a metaphor for healing and recovery. As a recovering depressive, I wanted to explore the dawn light on a metaphorical level. As an artist, I wanted to record the gorgeous cross- light of the early morning and the rich yellow hue of the direct light. I was attracted to humble structures: gas stations, parking lots, aging commercial buildings. The interplay of the natural world and the built environment is a subject which continues to excite me. 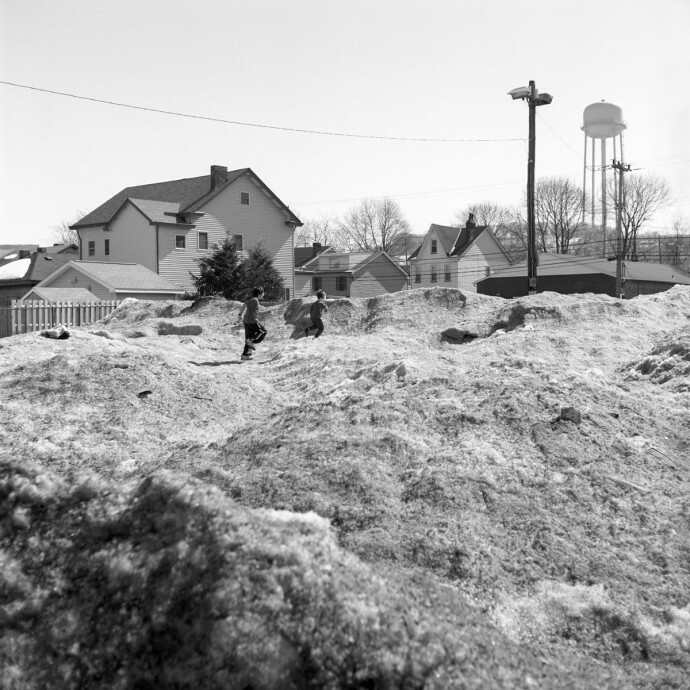 Willson Cummer is a fine-art photographer, curator and teacher who lives in Fayetteville, NY. Images from his projects have been included in national juried exhibitions. His first solo New York City show opened in December 2011 at OK Harris. Willson’s work explores humanity’s place in the environment. In addition to his own work, he curates and publishes the blog New Landscape Photography. 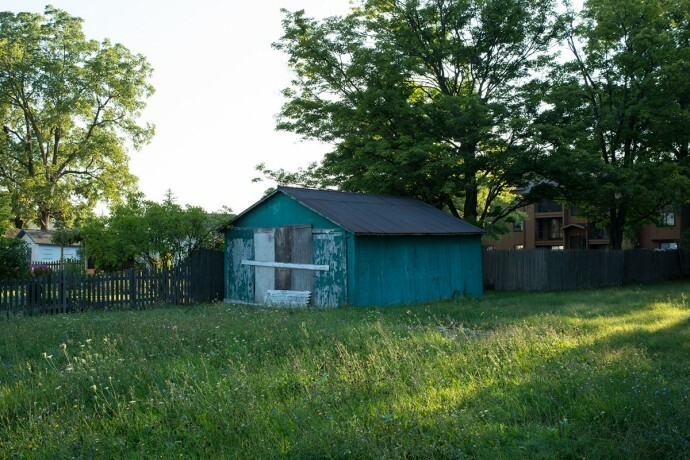 Willson has taught workshops at Light Work/Community Darkrooms, Syracuse University and Cazenovia College. Light Work is pleased to announce its 40th Anniversary with the opening of the exhibition 40 Artists / 40 Years: Selections from the Light Work Collection, featuring Carrie Mae Weems, Cindy Sherman, John Gossage, James Casebere, Jim Goldberg, Dawoud Bey, Fazal Sheikh, and Hank Willis Thomas, to name just a few. 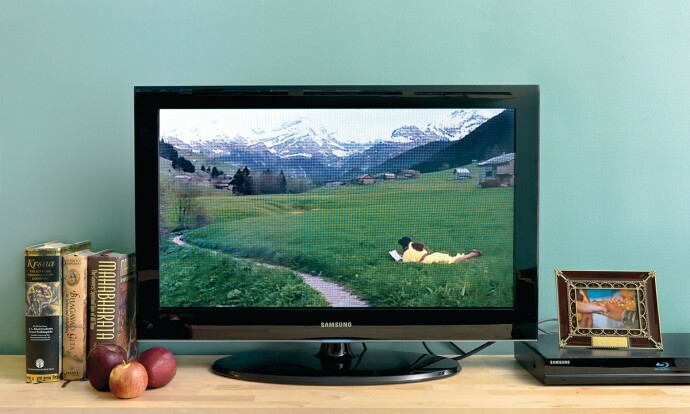 Light Work, an artist-run, non-profit organization, has been providing direct support to emerging and under-recognized artists working in the media of photography and digital imaging since 1973. The organization has been led by Jeffrey Hoone since 1982, and the following statement from the exhibition catalogue clarifies his vision and dedication to serving artists. The forty pictures in this exhibition represent each year that Light Work has been supporting artists from 1973-2013. They stand in for the hundreds of other artists who have participated in our Artist-in-Residence, exhibition, publishing, and grant programs and stand out as the reason we do what we do. Light Work always has been, and continues to be, an alternative arts organization run by artists for the benefit and support of other artists. Working in collaboration with Community Darkrooms at Syracuse University, Light Work has concentrated on supporting emerging and under-recognized artists, giving them the opportunity to create new work, and then making that work part of the ongoing dialogue about contemporary art. While we have been fortunate to have worked with some of the most important artists of our time in the early stages of their career, we have been equally privileged to have illuminated the work of others deserving of wider recognition. This exhibition is a small record of the work that we have collected over the past forty years, but only evidence of an incomplete story. The complete story will always be found in understanding and appreciating individual artists and artists as individuals. Artists make organizations possible, not the other way around. The artists in this exhibition come from different backgrounds and express different points of view but are bound together in the process of asking vital questions as they teach us how to see. Light Work supports artists because their courage, their struggle, their creativity, and their passion give us purpose and often make us whole. The work in this exhibition represents that process and celebrates all the artists that have made our effort worthwhile. Complete list of exhibiting artists: Andrew Buck (1973), Arnold Gassan (1974), Clarence John Laughlin (1975), Charles Gatewood (1976), Roger Mertin (1977), Barbara Houghton (1978), Kenda North (1979), Ellen Carey (1980), Cindy Sherman (1981), James Casebere (1982), Jim Goldberg (1983), John Gossage (1984), Dawoud Bey (1985), James Welling (1986), Marilyn Nance (1987), Carrie Mae Weems (1988), Clarissa Sligh (1989), Jim Pomeroy (1990), Antony Gleaton (1991), Willie Middlebrook (1992), Fazal Sheikh (1993), Elise Mitchel Sanford (1994), Max Becher & Andrea Robbins (1995), Renee Cox (1996), Stanley Greenberg (1997), Chan Chao (1998), Annu Palakunnathu Matthew (1999), Lonnie Graham (2000), Zoë Sheehan Saldaña (2001), Alessandra Sanguinetti (2002), William Earle Williams (2003), Pipo Nguyen-duy (2004), Hank Willis Thomas (2005), Beatrix Reinhardt (2006), Lucas Foglia (2007), Deana Lawson (2008), Yolanda del Amo (2009), Brian Ulrich (2010), Michael Tummings (2011), Cui Fei (2012), and John Freyer (2013). Light Work thanks Syracuse University, Robert B. Menschel and Vital Projects, The New York State Council on the Arts, The National Endowment for the Arts, CNY Arts, and the subscribers of Contact Sheet for their dedicated and ongoing support of our programs.